A memorial reef is another new and innovative way for families to create a permanent living legacy and memorialize a loved one. Two trends experiencing the fastest growth are cremations and green burials. Through using new funeral technology, memorial reefs now serve as a helpful and healing cremation option for many families who have lost a loved one. Memorial reefs are an environmentally-friendly burial option being used to replace the more traditional green burials and cremation ideas, such as cremation urns or ash scatterings at sea. The process includes mixing a loved ones remains into an environmentally safe concrete mixture and create a personalized memorial reef. These memorial reefs are then placed into the ocean. This combination of new funeral technology, cremation ideas, memorial reefs, and green burials, allows families to provide their loved ones with a living legacy at sea. Who Might Choose a Memorial Reef? With most companies that offer this new funeral technology, all family members, friends and loved ones are invited and encouraged to participate in the creation of their personalized memorial reef. Participating includes, but is not limited to, being present during the building process, placing your handprint or personal message in the casting, joining the viewing ceremony, join a memorial service underwater at the memorial reef site, and even used in military funeral planning by placing a flag on your loved one’s memorial reef during a Military Honors Ceremony. Each of these activities can offer a special peace of mind, time to grieve, or help the healing process for everyone involved. 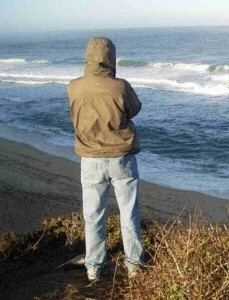 On the day of a loved one’s memorial reef dedication, family members and friends are usually invited to the reef site. Once the Memorial Reefs have been cast and set out to sea, many loved ones feel this is a wonderful place for their loved ones to enjoy their “life-after-life”. 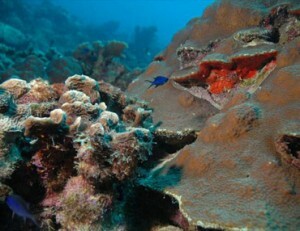 These memorial reefs serve as artificial reefs and promote sea life. 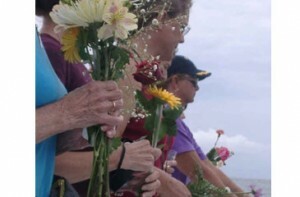 Ultimately, memorial reefs are a new funeral technology that is providing families a special place where they can gather together, enjoy a place near the water, get away for a vacation that has great memories, and be thankful their loved one is where they believe they belong…which is a living legacies at sea. Before the scheduled Memorial Reef dedication, family and friends are usually invited to view their loved ones Reef. The viewing is an opportunity to see and touch the Memorial Reef, take photos, make rubbings of the bronze plaque and write final goodbyes and tributes both on and inside the memorials.